As a Middle Eastern country, Jordan is home to some spicy meaty preparations as well as healthy vegetable ones. Their cooking technique includes deep-frying, sautéing, grilling, and slow cooking. Since it is majorly the place of Muslim and Christian communities, their respective occasions and festivals offer a lot of foods, distinct in style and taste. While lamb and goat preparations are abundant, Christmas cakes are enjoyed thoroughly. What is it: A combination of cooked lamb, rice, and fermented goat yogurt known as jameed. Since all these ingredients, mostly the meat were abundant to farmers, the dish has been originated in the hands of cattle farmers and Bedouins. The cooking procedure has been changed a lot over the period of years, but the appeal of the dish has remained the same. 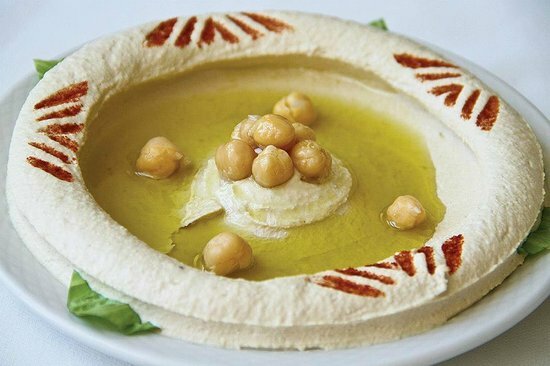 Palestine, Saudi Arabia, Iraq and in some parts of Syria, this dish is equally popular. What does it taste like: The heavy meal is a full-fledged treat for foodies as the richness of the lamb is enticing enough. 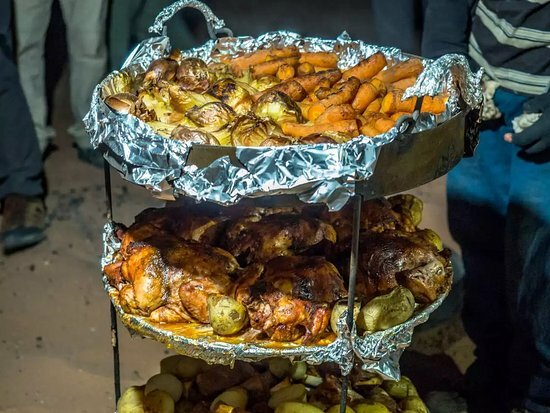 What is it: A barbecue preparation that includes meat of goat or chicken and vegetables is cooked in a special underground oven known as taboon. Since Bedouins were nomads, it was easy for them to cook in the desert area. 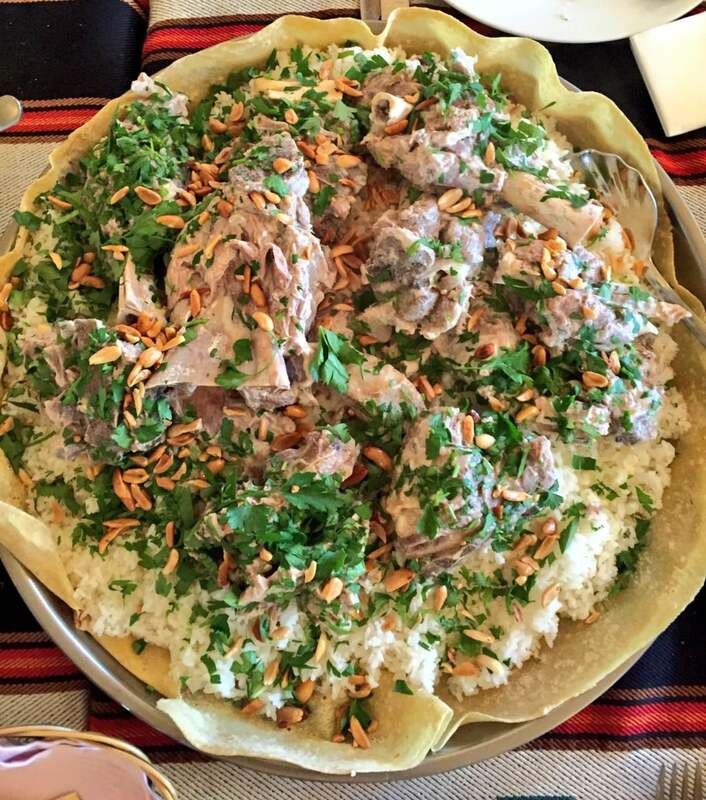 This is a typical dish from the Wadi Rum province. What does it taste like: The slow-cooked item gives you a heavenly flavor of barbecued meat along with a leafy taste and is served with salad. What is it: Deep-fried and dark brown balls of fava beans and chickpeas. This snack item can be consumed throughout the day and night, although evening is the most preferred time for this. During the Muslim festival of Ramadan (a full month of daytime fast), this falafel is eaten after the sunset in the Iftar party. What does it taste like: The exterior is crunchy while the interior is tight and light. 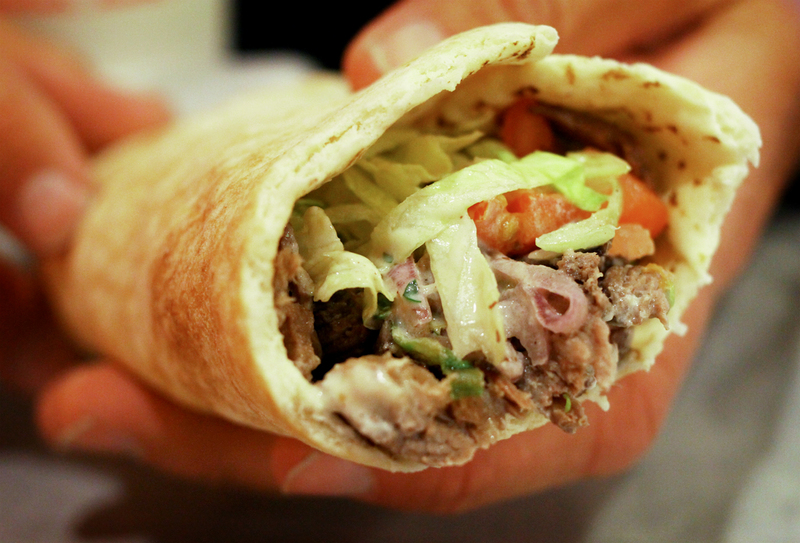 It is typically served either inside pita or lafah (both are flatbread). 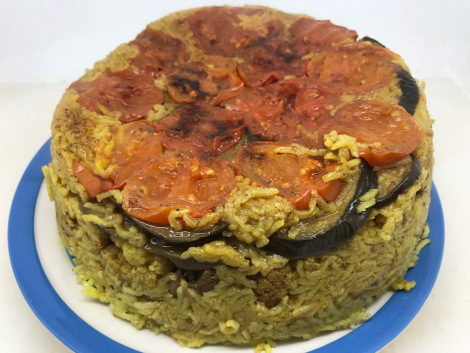 What is it: Literally meaning upside-down, this is prepared from mixing and cooking fried vegetables, rice and meat and then served by flipping the mixture. Mostly a communal meal, this is a traditional dish of Palestine as well. Its other names include maqlouba, maglub, and maaluba. What does it taste like: The combination of rice and meat itself is a very mouthwatering one. So, when it is teamed with spices like cinnamon, turmeric, garlic, black pepper and ingredients like broccoli, cauliflower, and zucchini, you can imagine how tasty it’s going to be. What is it: Meat wrapped in flatbread pocket called pita. The street food of Jordan has spread all over the world but to taste the authentic ones, you need to come down to Jordan. What does it taste like: The topping of the stuffing gives a wide range of flavors mixed together. The choice of meat depends as chicken, lamb all can be used while spices like cumin, cayenne, cinnamon, and paprika lend the unique taste. What is it: A spread of chickpeas and sesame seeds or tahini as the basic items. 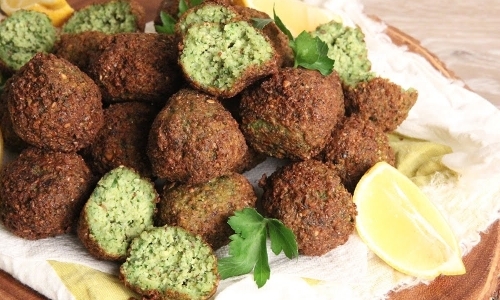 Used as a dip to falafel or other fried items, this has a global recognition. What does it taste like: The boiled chickpeas offer smoothness along with a tanginess of lemon juice and a taste of garlic, olive oil, and tahini paste. 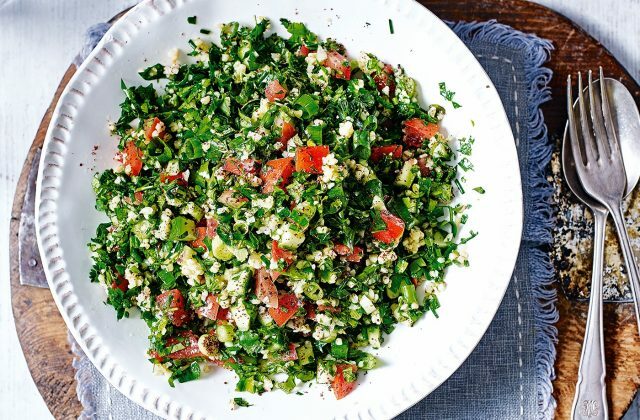 What is it: Mint salad with other ingredients like tomatoes, parsley, and onions. The assortment is often improvised as per the convenience but these mentioned ingredients are the must. What does it taste like: The mixed taste of these things that go into making the salad is special. The accompaniments that are served along with alcohol are known as mezze and this preparation is considered to be one. What is it: Meat kofta dipped in tahini sauce. It is basically a combination of meatball and potatoes. 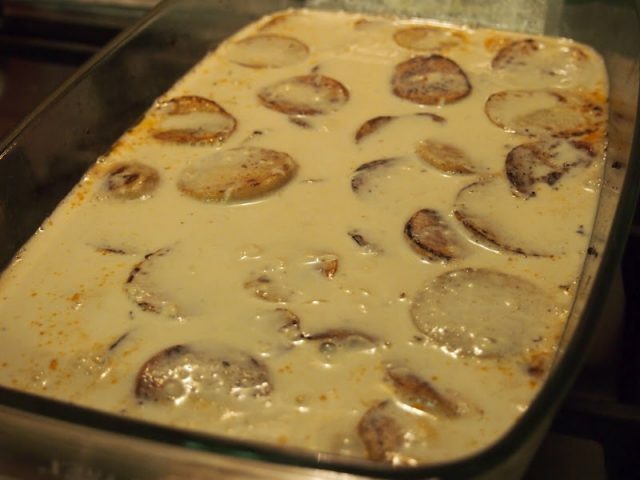 What does it taste like: It is a wholesome dish and can be served at lunch and dinner. 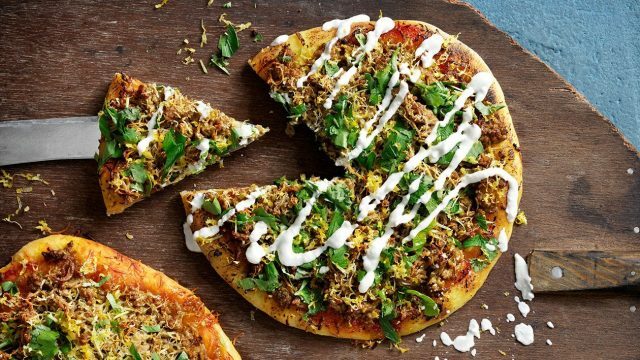 What is it: The pizza-like bread with toppings like cheese, chili, spinach, lamb, and za’atar that is a mixture of oregano, thyme, marjoram, and sesame seeds. At earlier times, women used to prepare the bread and gave it to their husbands before they left for the work, afterward the leftover bread was improvised with different toppings as the breakfast. What does it taste like: The flavor of the bread owe their greatness to the ingredients. 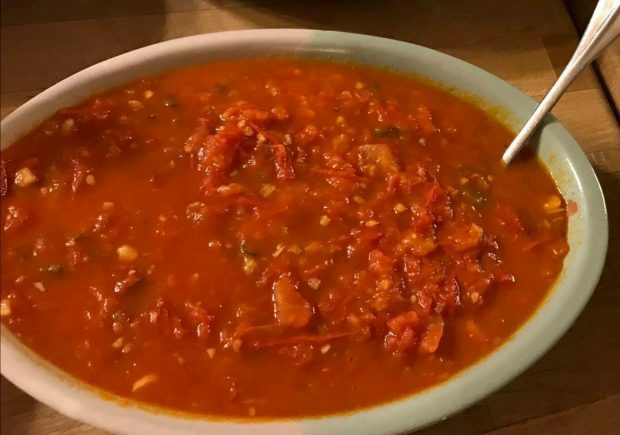 What is it: A tomato based gravy that often incorporates onions and pepper along with the meat. Usually, people going for camping and backpacking often prefer this dish for making as the process is really easy for them. Bandora means tomato while galayet stands for something that is cooked in a frying pan in the Arabic language. What does it taste like: The tomato will give you the first and last flavor that will stay on your tongue for a long time. Either with pita (flatbread) or with rice this is served. 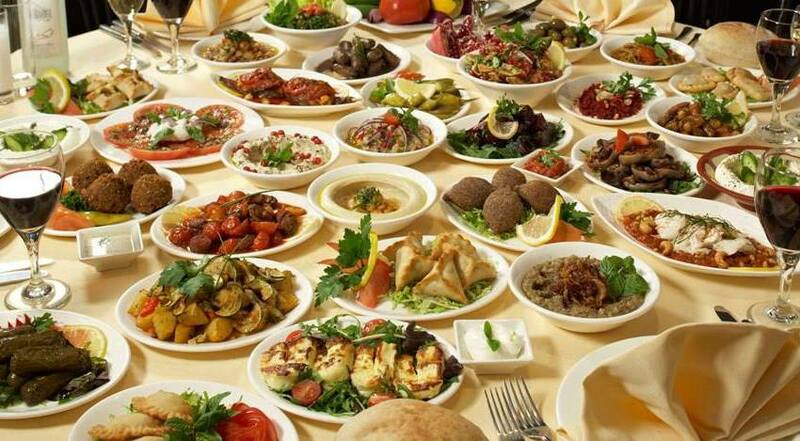 Jordanian cuisine has some marvelous dishes to offer us and it has a global interest as well. Although there are countless dishes that cannot be described here, still these ten are worth mentioning.